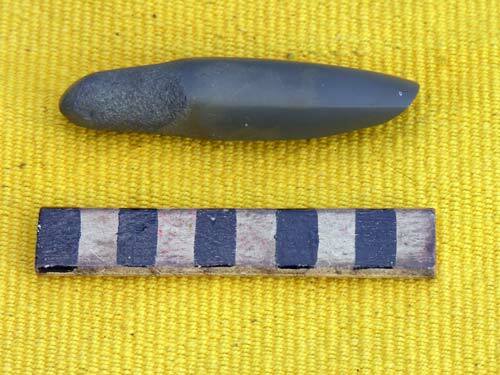 This is an example of an adzite chisel from the South Island. The scale is in centimetres. The rock type suggests that it comes from Nelson or D’Urville Island.